Membership of the society is open to all who are interested in astronomy. In general the activities of the society will be at a non-technical level, although facilities for more advanced work will be available for those members who wish to go deeper into the subject. The society will be based at the School of Physics, Robert Gordon's Institute of Technology, St Andrew Street, because not only is this central, but a flat roof is available for mounting telescopes. The equipment to be setup on St Andrew Street consists, at present of a 4 inch refractor telescope kindly loaned by Dr. Jason, and a 6 inch reflector will be available on occasional loan from the Department of Physics, Aberdeen University. In a short time an 8.1/2 inch reflector telescope, now on order, will be mounted permanently on the roof of the School of Physics, St Andrew Street, where there are also adequate laboratory and darkroom facilities which society members may use. A provisional programme of future activities has been drawn up, ad this includes lectures on making and using telescopes, radio astronomy, meteorite astronomy, space travel, general astronomy, history of astronomy, the philosophy of time, etc. Most of the lectures will be of general non-technical nature and should be of interest to all members. We also intend to arrange some other lectures of a more technical nature for those members who are interested in obtaining more specialised knowledge of various aspects of astronomy. We intend also to organise practical sessions for members who wish to learn more how to use equipment, and such topics as astronomical photography, measurement techniques, mirror and telescope making, will be covered. We hope some members will wish to make their own telescopes and other equipment, and members of the society who have experience in these matters will be happy to assist in these aspects. The society will organise practical and theoretical project study groups if enough members are interested. Projects suggested at present are (1) a lunar observing group; (2) a meteorite observing group; (3) a study of the history of astronomy in Aberdeen. Please let us have ideas about other projects you think would be of interest to our members. Other activities of the society will include film shows, visits to observatories,, and talks by visiting speakers if funds allow. Above all, however, we intend to ensure that all members have ample opportunity to observe the heavens for themselves through the telescopes which will be mounted on the roof of the St Andrew Street building, and we hope to have frequent viewing sessions once we have organised our equipment. We hope also to take part in the observing activities which be of use to other astronomers and play some part in the national programme of work. 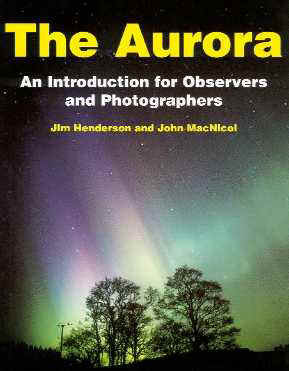 Mr. Patrick Moore has suggested the we concentrate upon the topics of Aurorae (and we are, of course, ideally sited geographically for this), variable stars and surface features n Jupiter. The above text is copied from an original typed letter dated January 1970. It appears to have been prepared ahead of the inaugural meeting of ADAS held on 22nd Jan 1970, and summarises the basic intention and plan for the society following the informal meeting organised by Mr W.D. Cooper's in November 1969.